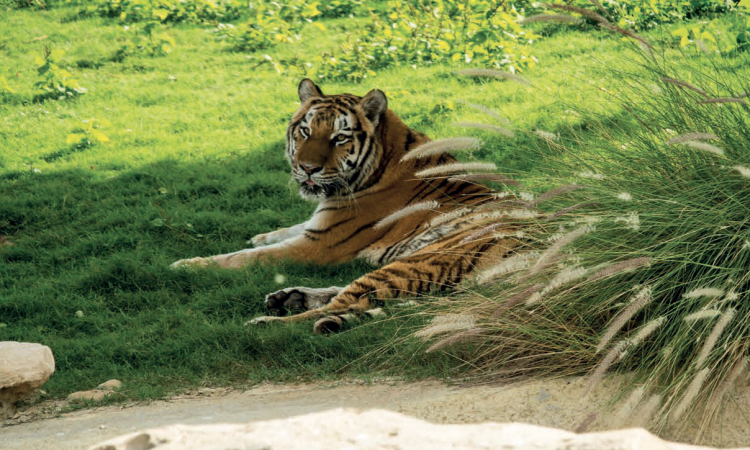 Animal lovers are guaranteed a wonderful time at Al Ain Zoo – not only is it home to a vibrant population of exotic creatures, but there are also a number of visitor experiences that allow guests to get close to their favourites. These include feeding the giraffes from a special viewing platform, watching hippo training sessions, riding a camel and watching a bird of prey show. There’s also the opportunity to take a free 25-minute train trip through the zoo grounds. Along the way, you can see many of the 4,000 animals that call Al Ain Zoo home, such as elephants, leopards, monkeys and even penguins. 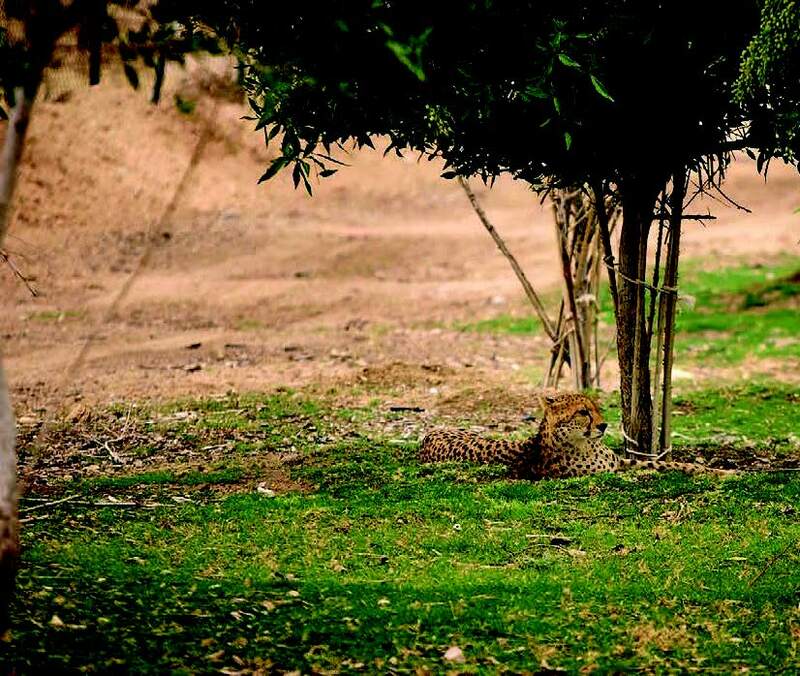 The zoo is one of the longest established wildlife attractions in the UAE. Located in Al Ain, known as the Garden City, it was founded in 1968 by the late Sheikh Zayed, with a conservation mission at its heart. 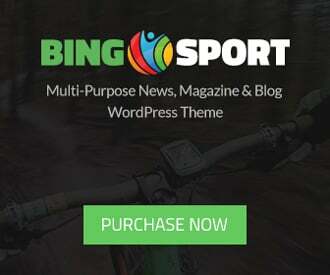 In fact, the centre has been integral to the successful conservation of several indigenous species including antelopes, gazelles and the once-endangered Arabian oryx, whose population has now been boosted. 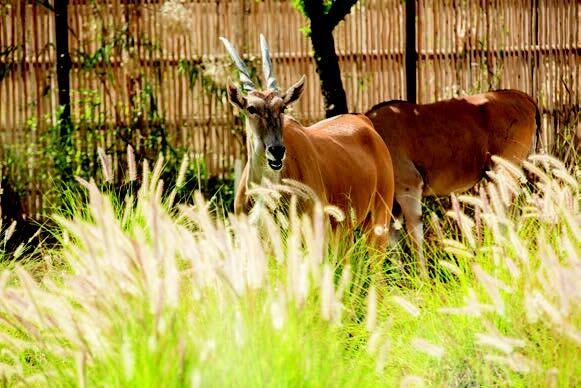 Al Ain Zoo has recently expanded with the addition of Al Ain Safari Park. Set across 217 hectares of desert landscape and overseen by a team of knowledgeable Emirati tour guides, it’s the largest man-made safari park in the world. 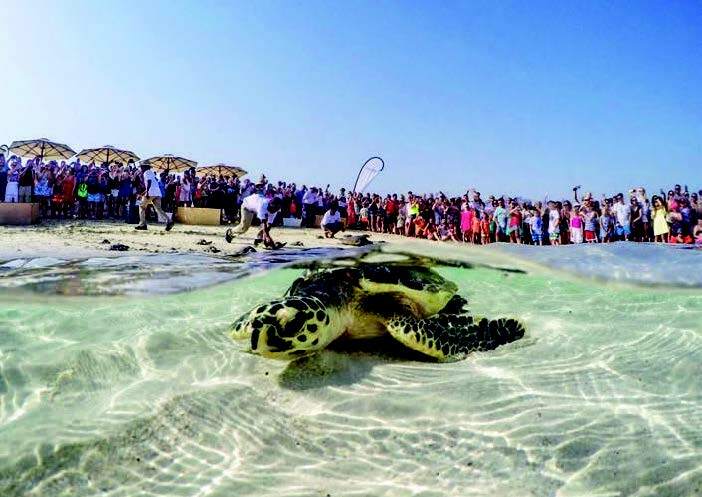 Luxury hotel Jumeirah Al Naseem is home to the region’s first and largest purpose-built turtle lagoon. Conceived in partnership with the Dubai Turtle Rehabilitation Project, which is based at Burj Al Arab Jumeirah and Madinat Jumeirah, the unique outdoor lagoon houses endangered turtles that are in the final stages of rehabilitation for illness or injury, before they are eventually released back into the wild. Visitors can see the animals and also take part in feeding sessions, before learning more about the turtles and other marine species native to the region from the lagoon’s discovery trail and observation island. This beautiful nature reserve in Ras Al Khaimah boasts 600 hectares of rolling dunes, ghaf trees and a thriving population of local wildlife, from desert foxes to Arabian oryx. The best way to explore is on horseback. 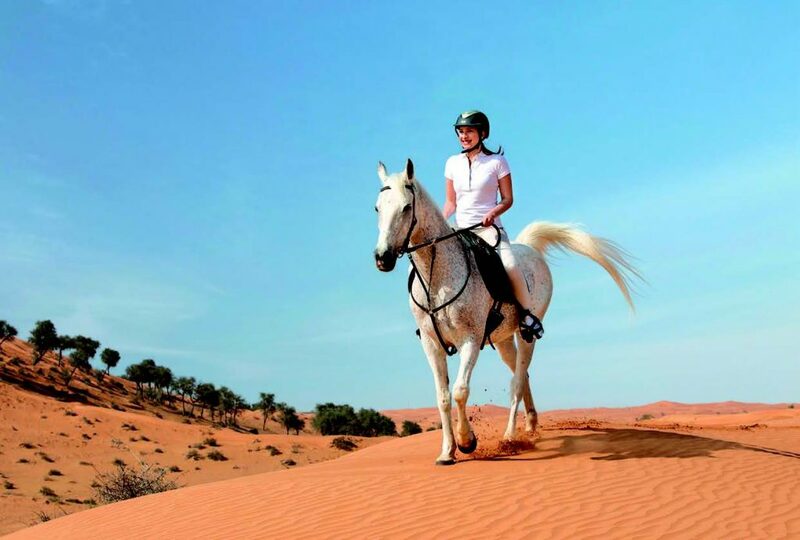 Book a ride with the Al Wadi Equestrian Centre, accessed through The Ritz-Carlton Ras Al Khaimah, Al Wadi Desert. The horses have a calm, well-behaved temperament, even with the most nervous of riders. Schedule your ride for early morning or late afternoon; seeing the desert on horseback, with the dunes bathed in the glow of sunrise or sunset, is an unforgettable experience. 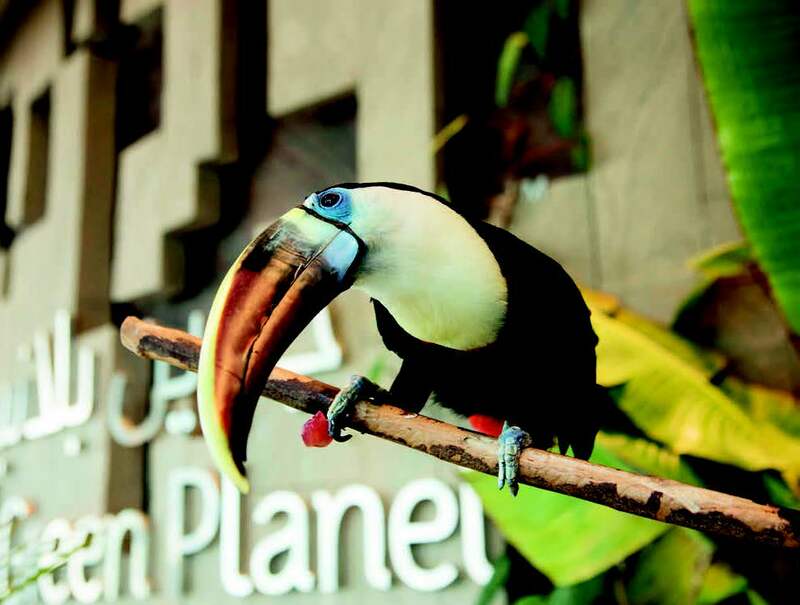 The Green Planet is the first-ever indoor rainforest to be built in the Middle East. Located in Dubai’s City Walk, this five-storey building is home to the world’s largest man-made, life-sustaining tree. Around this impressive centrepiece, discover a miniature rainforest with more than 3,000 animals including sloths, monkeys, reptiles and exotic birds. 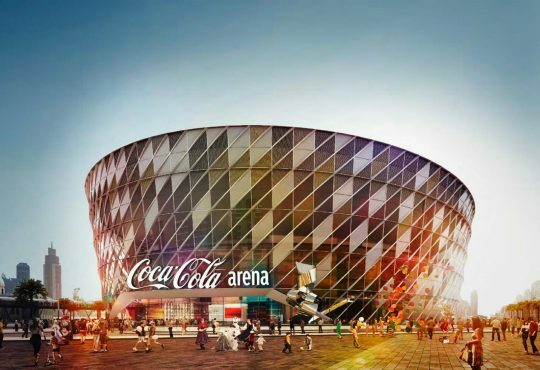 The temperature and humidity levels are controlled to mimic the environment of a real rainforest and ensure that the exotic flora and fauna are able to thrive. The fact that it’s a man-made environment doesn’t detract at all from the experience of seeing these exotic species up close. On-site biologists and expertly trained ground staff are there to help visitors learn more about the wildlife and even get closer to the animals, whether that means watching feeding time at the freshwater tank or meeting the resident sloths. 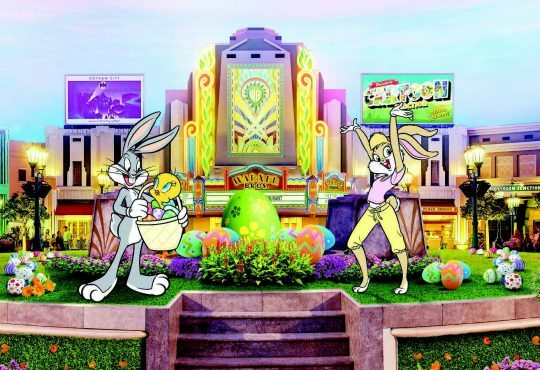 It is no exaggeration to say that Dubai Safari Park was one of the UAE’s most hotly anticipated openings of 2017. When the park first began welcoming visitors, the picturesque grounds of the attraction, covering around 119 hectares, was home to around 3,500 animals including lions, tigers and more. Currently undergoing renovation and closed to the public, the park is due to open soon, promising a bigger and better experience with the wild. 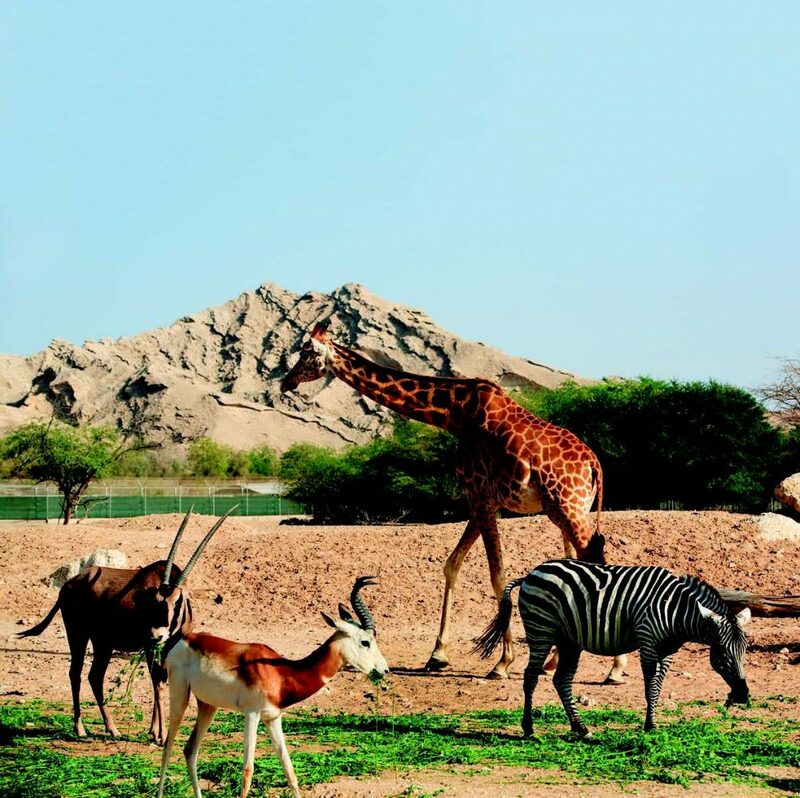 With giraffes, gazelles and even cheetahs roaming across its wild, natural landscape, Sir Bani Yas Island feels less like the UAE and more like a slice of Africa. 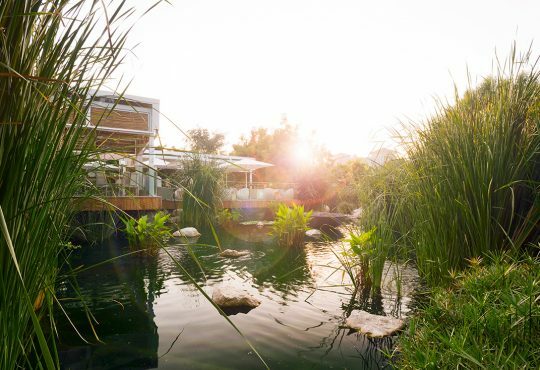 That’s all thanks to the Arabian Wildlife Park, a 1,400-hectare nature reserve that takes up more than half the island and is home to over 13,000 animals. The island was established as a nature reserve in 1977 by the late Sheikh Zayed in a bid to protect wildlife, particularly those native to the region. Today, visitors get to enjoy the thrilling experience of seeing these animals in the wild, including species such as the Arabian oryx, flamingoes and even a small family of hyenas. If you’re looking for the best way to get close to the animals, a nature and wildlife drive through the park is one of the best options. Alternatively, the island can also be explored on foot, mountain bikes and even on horseback.